Irrigation increases yields and allows several crops to be produced in regions where it would be naturally impossible due to limited rainfall. However, irrigation can cause several negative environmental impacts, and it is important to understand these in depth for the correct application of mitigation measures. The life cycle assessment methodology was applied herein to compare the main irrigated and non-irrigated crops in Northeast Spain (corn and wheat, respectively), identifying those processes with greater contribution to environmental impacts (carbon and water footprint categories) and providing scientifically-sound information to facilitate government decisions. Due to concerns about climate change and water availability, the methods selected for evaluation of environmental impacts were IPCC 2013 GWP (carbon footprint) and water scarcity indicator (water footprint). The area studied, a 7.38-km2 basin, was monitored for 12 years, including the period before, during, and after the implementation of irrigation. The functional unit, to which all material and energy flows were associated with, was the cultivation of 1 ha, throughout 1 year. The overall carbon footprint for irrigated corn was higher, but when considering the higher productivity achieved with irrigation, the emissions per kilogram of corn decrease and finally favor this irrigated crop. When considering the water footprint, the volumes of irrigation water applied were so high that productivity could not compensate for the negative impacts associated with water use in the case of corn. Nevertheless, consideration of productivities and gross incomes brings the results closer. 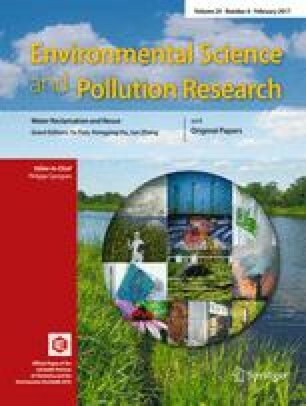 Fertilizer use (carbon footprint) and irrigation water (water footprint) were the main contributors to the negative impacts detected. This work was carried out within the framework of project AgroSOS (CGL2015-66016-R Spanish Ministry of Economy and Competitiveness–FEDER funds [EU]) and projects 475879/2013-9, 303199/2015-6, and 305419/2015-3 (Brazilian National Council for Scientific and Technological Development–CNPq). The authors also wish to thank the Bardenas Canal Irrigation District XI Authority and the farmers for the valuable collaboration.